It's been heavily publicised over the past 15 months how retailers are facing new pressures from consumers, as their buying behaviours have rapidly changed whereby they now do more of their shopping online rather than in store. It now looks as though the way customers are choosing to carry out their banking is also going to impact the high street, as Santander have announced today that they plan to close 140 of its branches in the UK. Branch transactions have fallen 23% in the last three years, whilst digital transactions have soared 99%. This week, the Institute of Customer Service published that online bank First Direct topped the customer satisfaction survey taking over Amazon. The online bank has been commended for delivering an exceptional customer experience and emotional connection. It got me thinking about the world that I live and breathe in; and what the automotive market could take from these online success stories from the likes of First Direct and Amazon? Is it all about bricks and mortar? What is the future of the UK’s automotive car dealerships? In my opinion, there's a clear need for automotive retailers to undertake significant change to catch up with the broader retail industry. It's essential that the dealerships are managing customer experience across multiple touch points, whilst continuing to build a trusted relationship and improving the buying process of purchasing a vehicle. I think we can all agree that dealerships and car manufacturers must rethink their business model - but can this be done online like the wider retail industry in the UK? 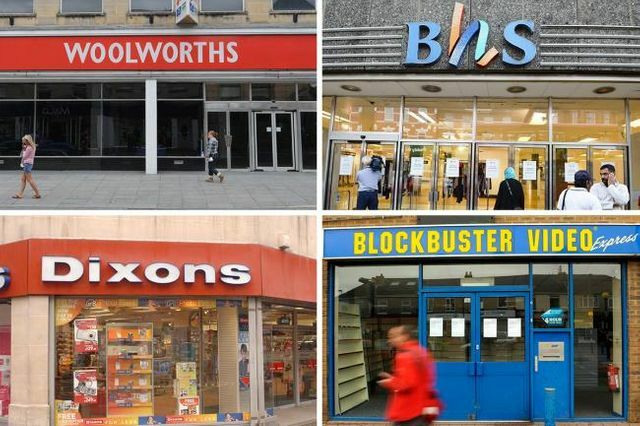 Those that do embrace change and investigate how they deal with their customers will flourish, those that don’t may go the same way as the other UK retailers! Spanish-owned bank Santander is slashing its branch network by almost a fifth, putting 1,270 jobs at risk. The bank blamed the closures on "changes in how customers are choosing to carry out their banking". It said branch transactions have fallen 23% in the last three years, while digital transactions have soared 99%. Santander announces that it will close 140 branches. At the moment, bank branches are closing at a rate of 60 a month across the UK.